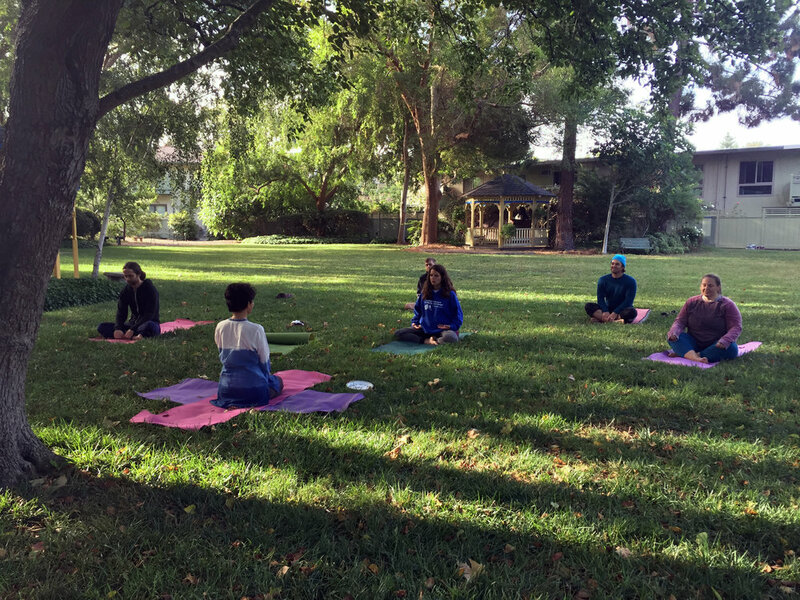 Ananda Community is home to many students of Yogananda's teachings — a beautiful oasis of peace in Silicon Valley. 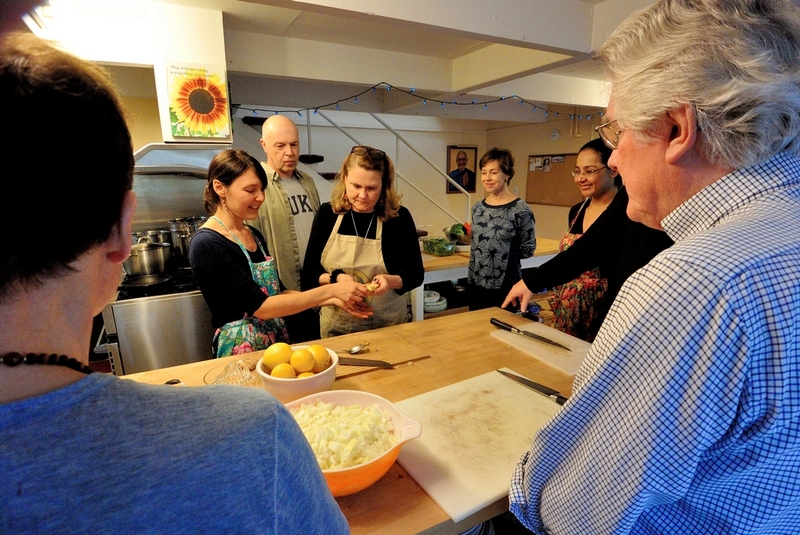 Though most of our classes and events take place at the Temple in Palo Alto, some are hosted in the community. Those who are inspired by Yogananda’s teachings may inquire about residency, or drop by for a tour. Call Chidambar or Amara at (650) 669-2244. A spacious 72-home apartment complex on five acres in a quiet residential neighborhood near the border of Mountain View, Palo Alto, and Los Altos. 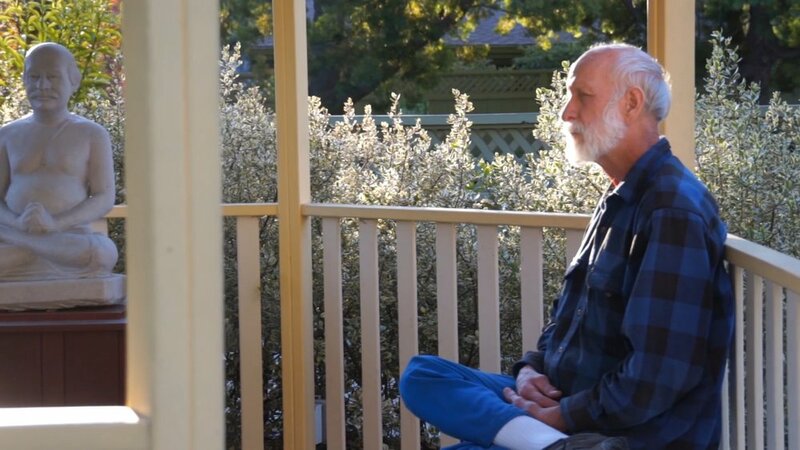 Central to living at Ananda is the freedom of the individual to develop spiritually as he feels inwardly inspired. Residents share a deep desire for God and a spirit of joyful friendship. Residents are naturally considerate of one another and cooperate together to minimize those influences which work against our spiritual practices. Drugs, alcohol, and smoking are not permitted. The spiritual journey is intensely personal; no one can walk it for you. Our victories and challenges are uniquely our own. At the same time, the work of breaking down the ego and opening to the power of the Divine is the greatest challenge we will ever face. If we are honest with ourselves, we often flinch from the effort. This is why monasteries and ashrams have been home to seekers for millennia. It is easier to make progress spiritually when in the company of other seekers. And the rough edges of ego that need smoothing come to the surface in community life, that otherwise lie hidden when the soul is working alone. Why live in spiritual community? “One of the fundamental needs of our age is for putting down roots again. We have extended ourselves too far outward, away from the Self within, and away from the natural rhythms of the planet on which we live. Even in our outward, human associations we have lost touch with reality. The average person in America today moves fourteen times in his life—not to new homes in the same community, but to different communities altogether. Loneliness has become chronic. Friendships tend to be of the cocktail party and patio barbecue variety, and not the deep bonds that people form as a result of trials and victories shared. We know people to smile at, but not to weep with, not to confide in, not to go to for help in times of physical, emotional, or spiritual distress. Small, spiritual communities offer a viable alternative to the depersonalizing influences of our times. People living and working together, sharing with one another on many levels of their lives, suffering, growing, learning, rejoicing, winning victories together, they develop a depth in their outward relationships as well that helps them, inwardly, to acquire spiritual understanding. Establishing householder communities was one Yogananda’s most cherished dreams.